Hiding in Plain Sight tells the story of the global effort to apprehend the world’s most wanted fugitives. 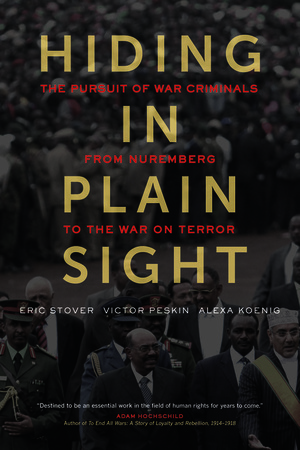 Beginning with the flight of tens of thousands of Nazi war criminals and their collaborators after World War II, then moving on to the question of justice following the recent Balkan wars and the Rwandan genocide, and ending with the establishment of the International Criminal Court and America’s pursuit of suspected terrorists in the aftermath of 9/11, the book explores the range of diplomatic and military strategies—both successful and unsuccessful—that states and international courts have adopted to pursue and capture war crimes suspects. It is a story fraught with broken promises, backroom politics, ethical dilemmas, and daring escapades—all in the name of international justice and human rights. 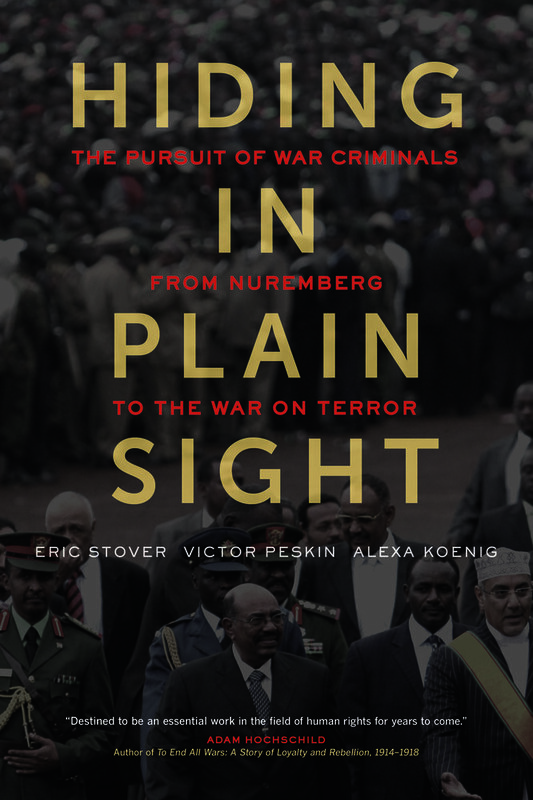 Hiding in Plain Sight is a companion book to the public television documentary Dead Reckoning: Postwar Justice from World War II to The War on Terror. For more information about the documentary, visit www.pbs.org/wnet/dead-reckoning/. And for more information about the Human Rights Center, visit hrc.berkeley.edu. Eric Stover is Faculty Director of the Human Rights Center and Adjunct Professor of Law and Public Health in the School of Law, University of California, Berkeley. Victor Peskin is Associate Professor in the School of Politics and Global Studies at Arizona State University and Research Fellow at the Human Rights Center, School of Law, University of California, Berkeley. Alexa Koenig is Executive Director of the Human Rights Center and Lecturer in Residence in the School of Law, University of California, Berkeley.